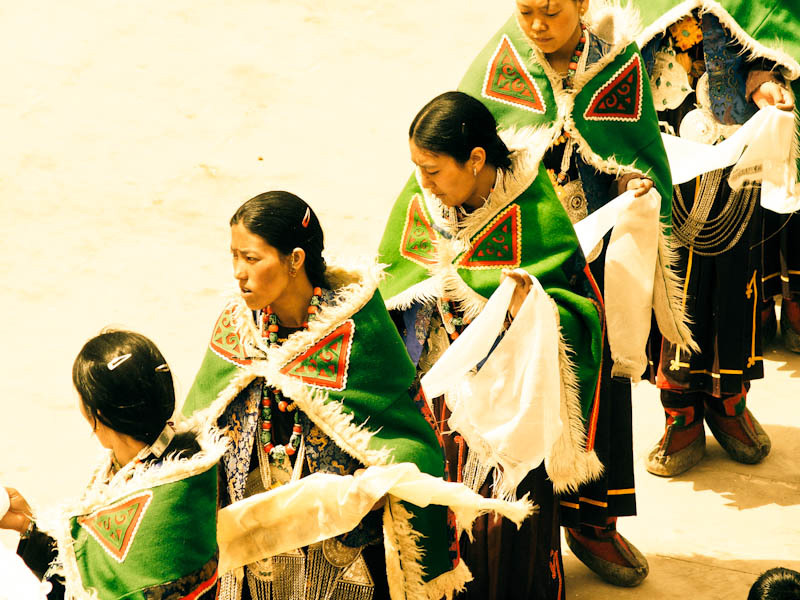 The women of Leo and the neighbouring villages wear bright green capes embroidered with individual designs and carry khatas – white ceremonial scarves representing love and compassion and showing the purity of the giver’s intentions. 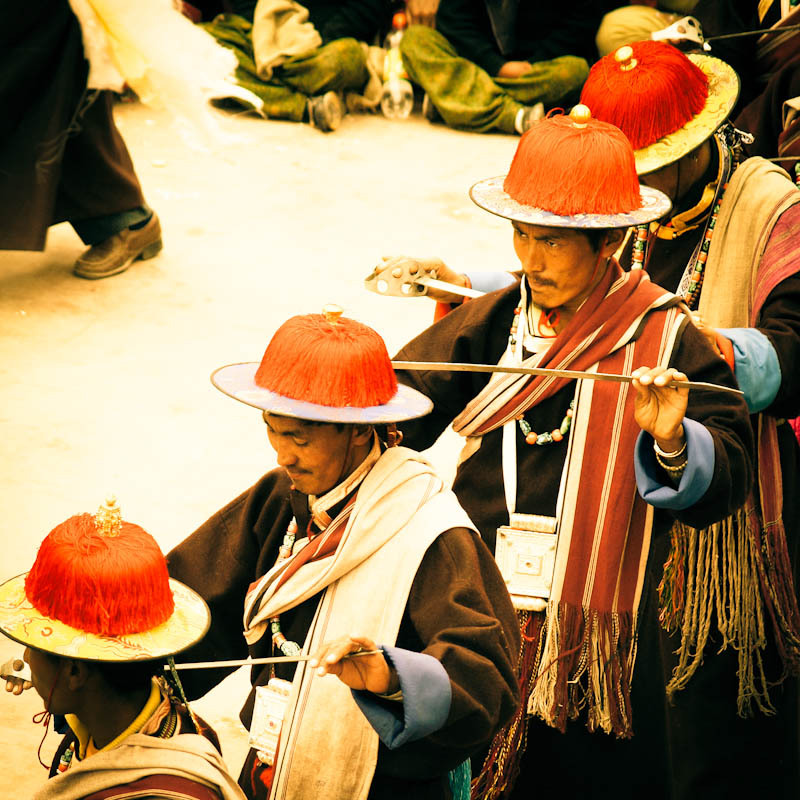 In Kungri the male dancers try to evoke the memory of their warrior-ancestors by carrying curved swords and bright red hats – in the valleys Buddhism and martial traditions often went hand in hand. 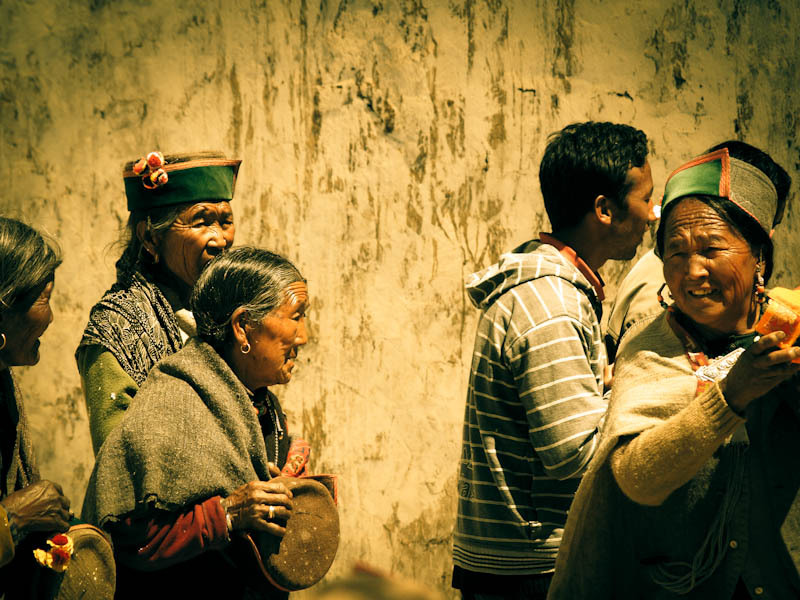 Old ladies and young men of Nako, hurrying to participate in a festival that renews the sacred protection of their village. The sacred texts, deities in their own right, are carried from the temple in a wide circle around the village. 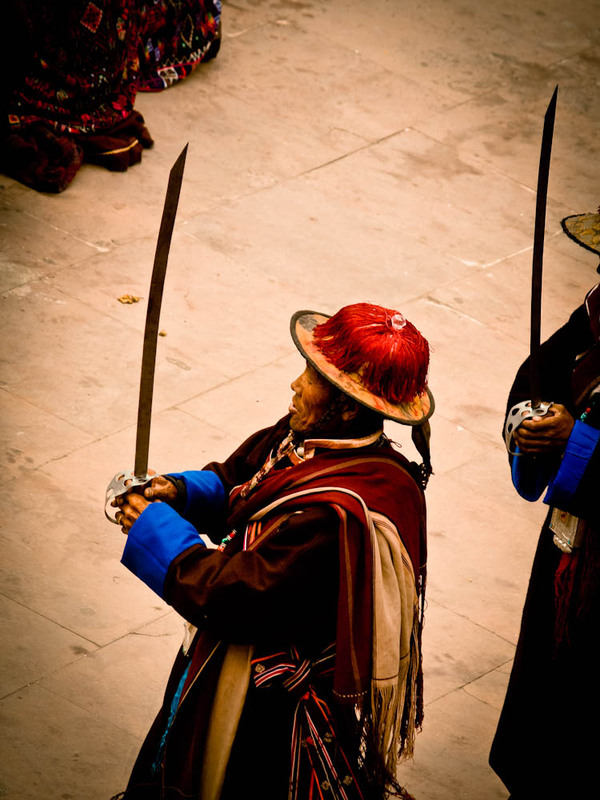 One of the oldest swordsmen serves as a leader of their procession. In his time he may have had opportunity to use the sword against actual enemies. All images are copyrighted by Sebastian Buchner. Please leave them alone and don’t copy or misuse. Thanks.